Since word is out that I cook, I get a lot of food related gifts, from snapping turtles to homemade wine. 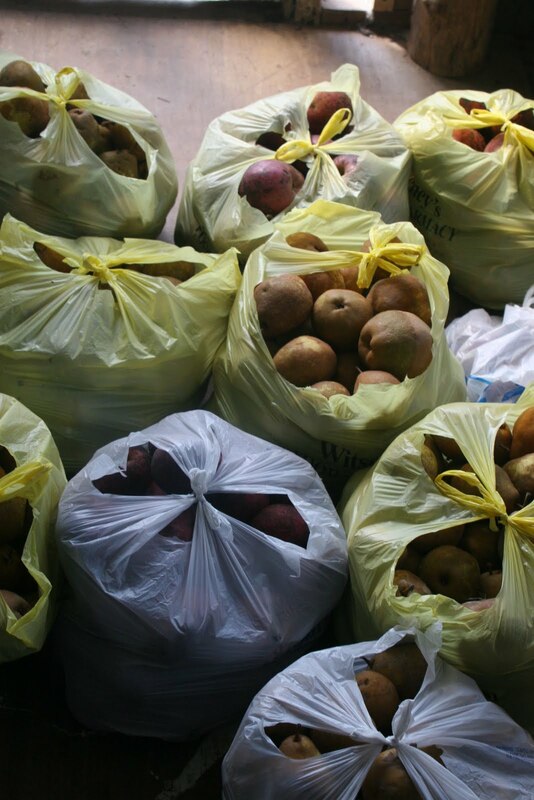 A couple of weeks ago, a truck pulled into my drive way and Dina carried in 3 enormous bags of apple and 6 equally enormous bags of pears. I immediately stared making preserves. I cooked and cooked. I made apple jam with Chinese 5 spice. 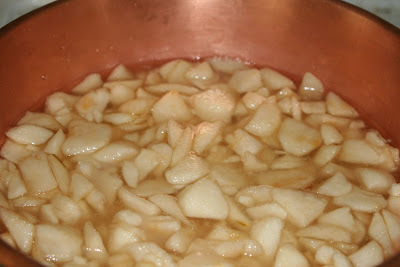 I made apple butter. I made apple preserves with Bourbon soaked currants. I pear preserves with white balsamic. 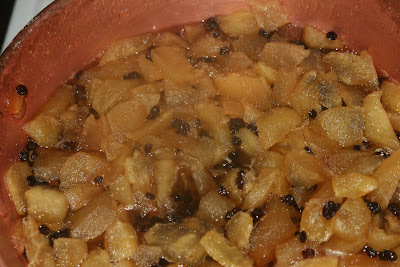 I made pear and ginger preserves. 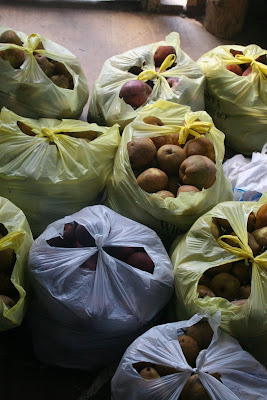 I went to DC for several days and left a huge pile of apples and pears that I didn't get to. Even after the raccoon came in and at his fill of apples, I still have more to do. Clearly I need a big old commercial kitchen! Great autum recipe! I never taste something like this before its simply incredible!